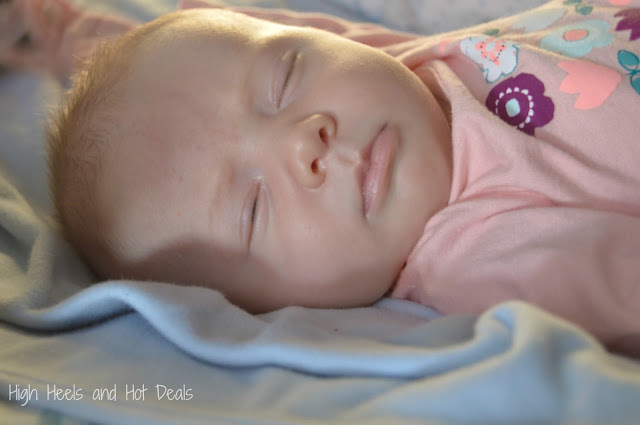 Levana Ayden Video Baby Monitor- Sleep Easy Knowing Your Baby Is! If you have a new baby in your house, the Levana Ayden Video Baby Monitor is something you want to check out! Amazing features, easy set up and safety. Continue reading for more information. I’m not sure why, but I have been cursed with two out of three children who despise sleep. While my sweet Lola asks to go to sleep, Remy has been a bit more difficult. She reminds me an awful lot of her brother and I have vowed to not let her go down that path. One night I started thinking (after an hour of a screaming baby who refused to sleep) what I did differently with Lola than I did with Cohen in the sleep department. Immediately I remembered how I looked for her sleep cues and that’s when I would swaddle her and lay her down right away. So the next day I paid closer attention to Remy. Sure enough, about an hour after her bottle, she started getting fussy and wanting to be held. I decided to swaddle her up, rock her and then lay her down to sleep in the Rock and Play in our room. The kid took a three hour nap. I cried tears of joy. I continued to follow her sleep cues and soon enough she has slowly adjusted to a better sleep schedule. While it’s not always perfect, it definitely is a huge improvement then what it was. Plus she is such a happier baby which makes my life, and her siblings’ life, so much better. However, she is still currently sleeping in our room. And I’m not quite sure when I will transition her to the crib. (Most likely not until she’s four or five and ready to go to Kindergarten…kidding…kind of.) So whenever she is sleeping, I would have to try to open the door, pray to God it wouldn’t squeak, tip-toe across the room and peek at her to see if she was sleeping. It was too much stress my friends. I needed a monitor in our room, but I didn’t want to take the one out of her bedroom because I do plan on transitioning her there for a few naps during the day. So I needed something portable and small that would fit nicely on my nightstand yet not take up the entire thing. 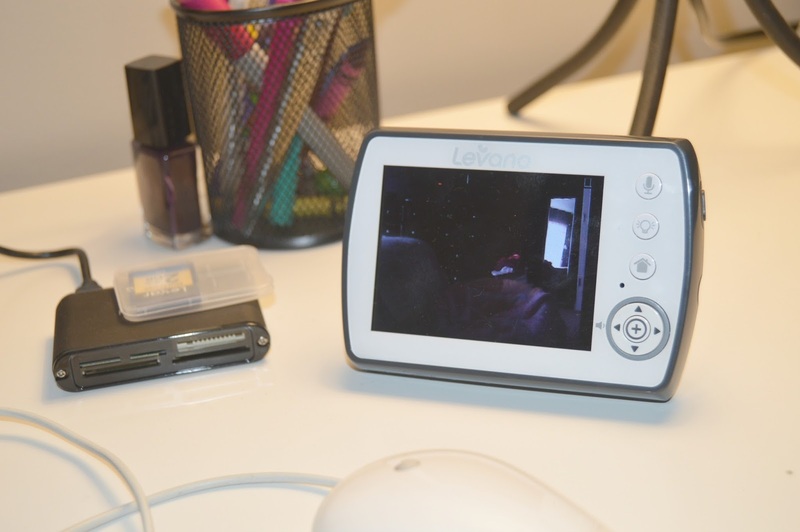 The Levana Ayden Baby Monitor was one of the first monitors that caught my eye. It had a small camera and a unit with a small screen but one that I can still see even with my blindness when I’m not wearing my glasses. The price was especially great at only $99.99 – and it has the option of buying extra cameras (up to 4!) so I can have one in each of the girls’ rooms. –temperature monitoring – which is one of my favorite features because our bedroom can get really warm at times! –-750-foot ClearVu® digital signal which means creepers can not hack your baby monitor! 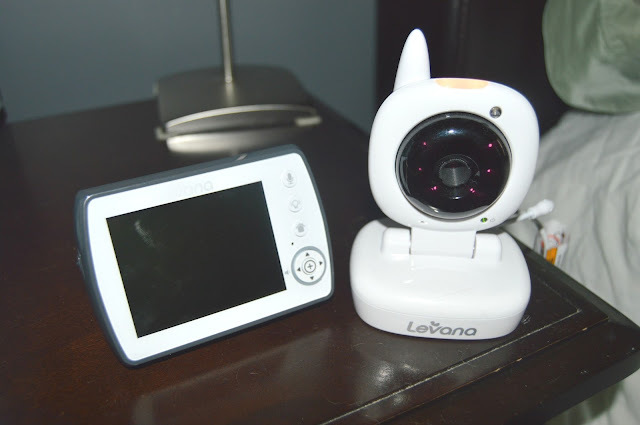 A huge thank you to Levana for sending us the video baby monitor for our review. All opinions are 100% mine. « How to Build a Snack Stadium for the big game!